The 2019 High School outdoor track and season is heating up and the most prestigious regular season meet in the country kicks off Friday in southern California. 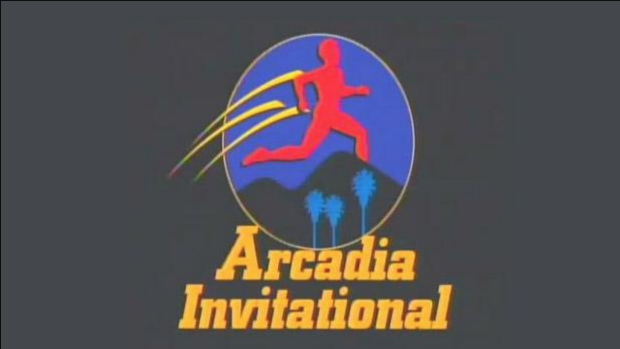 This year's edition of the Arcadia Invitational appears to feature more Missourians than even with 15 scheduled to compete. Newly minted New Balance Indoor Nationals 400-meter dash national champion Justin Robinson will run in the Invitational sections of the 400 and 200-meter dashes. The Hazelwood West High School junior will look to improve on his Missouri High School record of 46.20 in the 400-meters. He is the top seed set to run in lane 5 on the 9-lane track at 9:09 p.m. CT Saturday night. Robinson will then have an hour to recover before running in lane 4 in the 200-meters at 10:15 p.m. Robinson looks like he's on track to become the fastest all-around sprinter in Missouri prep history in 100, 200, and 400-meters for Hazelwood West head coach Tim Levin and sprint coach extroardinare Sean Burris. The other Missouri male to compete at Arcadia is Kirkwood junior Christian Baker. Baker will run the 2nd-fastest section of the 3200-meter run, the "Seeded" section at 9:33 p.m. Missouri time Saturday night. Baker surprised many with his strong late push to win the MSHSAA Class 5 3200-meters last year in 9:21, 5 Hours after running a leg on the Pioneers State Champion 4x800-meter relay. Baker followed up his track state titles with the 2018 Class 4 Cross Country state title, helping the Pioneers to a 5th-place team finish. Baker ran an impressive 9:15 2 mile (3218m) at New Balance Indoor Nationals, and signed to run at the University of Tulsa. If Missouri distance running fans were told a Missouri woman would be running in the Arcadia 800-meter Invitational race at Arcadia, they might have trouble thinking who that could be. A lot of great half-mile talent has come thru the Missouri High School ranks in the recent years and moved onto the college ranks, most recently 2018 grads Taya Shelby of Park Hill and Jana Shawver of Lee's Summit West. But if you haven't heard the name Makayla Clark, you're likely to hear a lot of it over the next four years. Clark earned Class 4 All-State honors in November at the state cross country championships for Lee's Summit. However, last summer as an 8th-grader, Clark ran the 2:10.61 at the USATF Junior Olympics, placing second. She's entered in the 800m at Arcadia. For the third year in a row, Jesse Griffin is taking a group of his Lee's Summit West ladies out west for the Arcadia meet. The three-time defending Missouri Class 5 state champions are sending 12 Lady Titans to the West Coast and warm temperatures of southern California. Three time defending high jump State Champion Jessica Haney will be competing in both the high jump, and the triple jump where she is a two time state medalist. She was the runner up last year at Arcadia in high jump and will look to compete for the gold here in 2019. Defending javelin State Champion Maddie Harris is also competing in the shot put, where she was a state medalist last year. The Titans are also bringing 2 relay teams each in the DMR, 4x800m, and 4x1600m. Unarguably the deepest distance squad in the state, the fact that they can fill out two teams each at a meet like Arcadia proves that even further. Their 4x800m team in the invitational features 3 of the 4 runners that were on their All-American and State Record holding team that broke 9 minutes last year at New Balance Outdoor Nationals. Their "B" squad is likely to run the second fastest time in the State as well, and be well below 10 minutes. Times are Central Time (Missouri), not local-meet time. This article was written jointly by MOMileSplit contributor Chris Auckley and Editor Ryan Taylor.